Ping, is the name given to the new musical social network that Apple has integrated into iTunes and that has undoubtedly come stomping registering in its first 48 hours of activity more than one million users according to the company’s own data. Increasing figure, which will surely be increased little by little and that will serve to evaluate the impact and growth of this new social network. Since its official launch announced on September 1 by Steve Jobs, Ping has occupied much of the attention of the media due to an impact endorsed by the media impact of a brand like Apple. Through the internet and social networks, the news of its launch has been happening and spreading in a massive way. However, behind this story we discover that “Ping” the name that this new social network has been baptized also corresponds with a corresponding Karsten Manufacturing Corporation “trademark , ” a company manufacturer of golf clubs founded in 1959, which distributes and markets its products in more than 70 countries around the world, including Spain. A few days after the launch, the impact generated and the incredible volume of mentions and Backlinks (links that a certain web receives from other pages) have placed the new website of this social network in the first positions in the results of the main internet search engines when we make a query under this term. And with it, threatening not only the visibility of which until now enjoyed this company but directly affecting the name of the brand itself that globally will now be associated with the new social network staged by Apple. 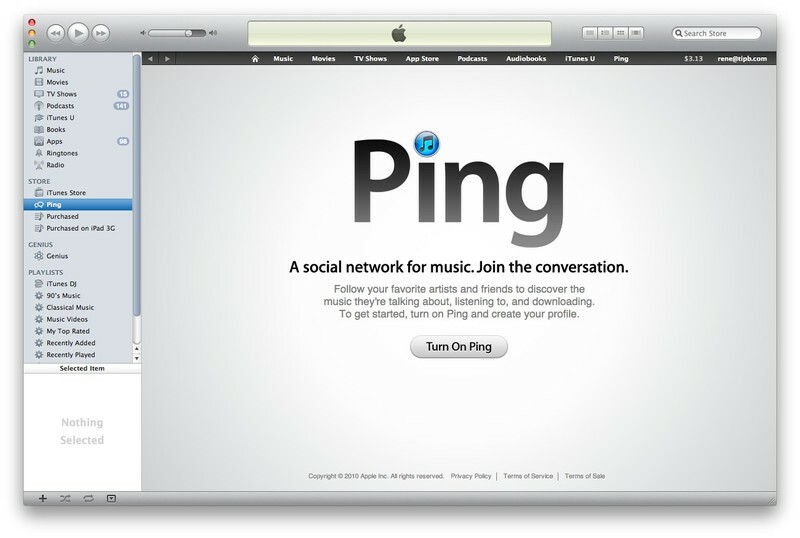 It is important to note that the social network Ping, does not have an exclusive page on the Internet, but that their information and details are provided through a microsite accessible from the Apple website itself, while the domain Ping.com registered in 1993 belongs to Karsten Manufacturing Corporation and offers access to the company’s commercial website. The consequences and repercussions could be uncountable although some consider that beyond such coincidence, the website of this company could be benefited by typing errors or those who initially and wrongly resort to this domain to access the website of this company. social network. However, the damage and confusion of this coincidental coincidence could generate proportionately more negatives than positive effects on the brand itself, affecting all marketing strategies of the company in a similar way and directly, especially in terms of association and Brand level is concerned. All this, not counting the efforts and resources invested in strategies in social media such as Twitter or Facebook where the brand has its own page with more than 21,500 fans and followers. At the moment the position of those responsible for the company about the use by Apple of the name of this registered trademark is unknown. Something that could lead the company to take legal action against those of Cupertino.